Read this page AND watch the video about writing good Essential Questions. Create an App with AppsBar. Create an Interactive Flipbook with Flipsnack​. Create a free Ebook at Epub Bud, OR the Book Creator or Book Writer Apps (find them at the App Store). Use Cliptomize to create a children's book. Create the prototype for an app with Popapp. ​Create a video game with Gamemaker Studio. How Do I Research My Genius Hour Topic? Watch the short video to learn about eWISE, a research model to follow. Click Here for the Guided Notes that go with this video. What is an Essential Question and how do I write a good one? Watch this video about Essential Questions, or click here for more info. How can I make sure I'm getting accurate, high-quality information on my topic? Watch this video about How To Evaluate Websites. 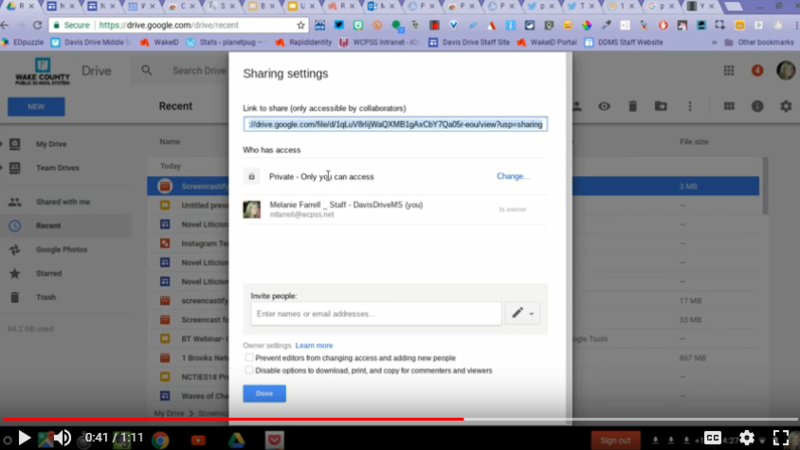 OR STEP 1 - Make sure your Share Settings will allow others to watch your videos. Highlight "Type Your Name Here" and type your name! Don't change the font, size or color of the template.